When it comes to horror movies, sequels can be a tricky thing. Which is why I’m glad to report that “Insidious 2” isn’t as bad as I feared it would be. Credits go to director James Wan, who did a fine job with the first “Insidious” and this year’s “The Conjuring“. 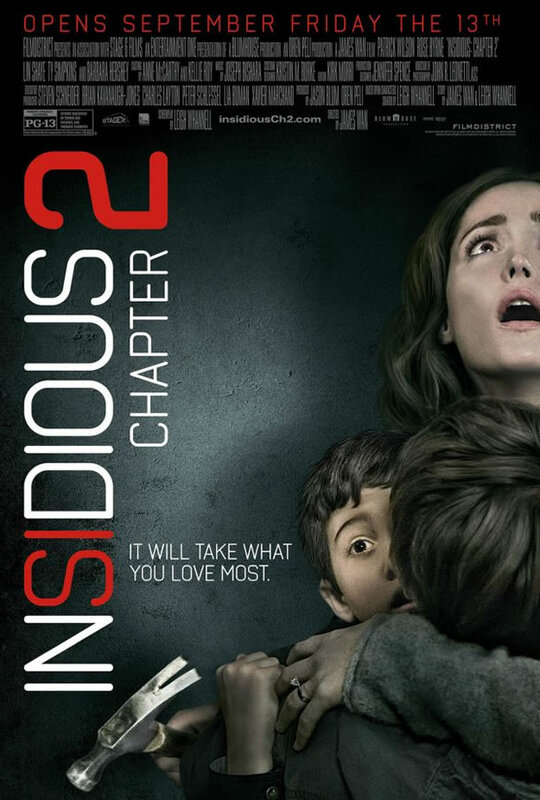 “Insidious 2” doesn’t live up to Wan’s potential, but the movie knows how to creep you out. The story picks up right where part one ended, with Renai Lambert (Rose Byrne) discovering the corpse of murdered medium Elise Rainier (Lin Shaye). After a police investigation, the Lamberts are set free to return to their normal lives. But normal life never happens, as more supernatural events begin to occur. So what’s behind all these occurrences, and can the family unlock the mystery in time to avoid even more tragedy in that spooky house? If you care enough to find out, and are exceedingly patient, you’ll learn the answer. Leigh Whannell’s screenplay tries to tie everything together, but it doesn’t always pay off, especially when it reaches its final act, which is a bit of a letdown. But it’s creepy fun until then, especially when you compare it to other horror sequels.